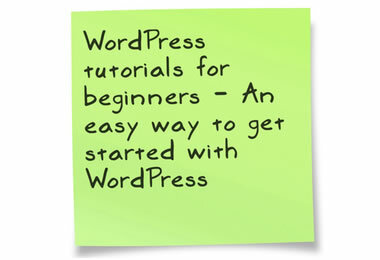 Free wordpress tutorials for beginners – WordPress is by far the most popular blogging platform because it is very easy to use but yet very powerful. While there are many wordpress tutorials for beginners on the web, we have created a set of tutorials that are essential for everyone starting with wordpress now. All tutorials are up-to-date with the latest WordPress versions, are in a step-by-step format and this page is updated frequently with new tutorials.